Minas Tirith Forums: Could it be (re-)done again? Author Topic: Could it be (re-)done again? I'm considering the practical feasibility of a classic re-make of Lord of the Rings, using Jackson's success as a measuring-stick for profits. Even Jackson admits that he wasn't at all faithful to the book, so a faithful portrayal would be so different from PJ's version as to be utterly alien to it. Operating budget: $150-200 million/film, set to take place in 5 films throughout Europe (From England to Bulgaria). I've deliberately left the hobbits uncast, since they should be played by British actors who primarily do theater-work; this will provide talent, while preserving the "private and ordinary" nature of hobbits. They will not, however, be chosen for small stature, since hobbits are scaled-down humans-- not midgets. This "scaling down" can be done quite well by CGI. I also chose Charlton Heston to play Denethor, since I think his struggle with Parkinson's would make him perfectly suitable to Denethor's struggle with Sauron and the war; this would make a perfect "legacy role" for him. The movie and DVD will likewise differ greatly from one another, in that the movie will deliberately omit the more lengthy portions of the story, while the Extended DVD will cover everything in detail for about a 20-hour release (including the portions covered in "Unfinished Tales"). However the original dialogue will be preserved in both movie and EE release-- the movie will simply "whittle down" the dialogue to that essential (while Tolkien's original voice-recording can provide any necessary narration for both). The fact that PJ was able to reap a "ten-bagger" from his mediocre faith to the story, shows that there's definitely a great market for it-- the only question in the minds of investors, is whether today's audience will go for a more classic film. I think that they would, if it was properly edited. After this, prequels can be made, which will include The Silmarillion, The Hobbit, and other work from HOME --featuring Gandalf, Elrond Sauron (and Bilbo) as the go-betweens, like Kenobi, Anakin and Palpatine in the SW prequels). The rest is just market-research. No substantive argument, but I thought Heston had Alzhiemer's (although such a reknowned gun-totter having Parkinson's is incredibly ironic). I would like to see how other directors/creative teams would interpret Tolkien's work. I think the word I'm searching for is "Oh God, no." Why do you say he would insure faithfulness to the story? I've only seen "The Aviator", so I'll take your word for it. It doesn't seem like his kind of material, though. He was in Star Wars. Typecast. Could work. I don't know if I can see him in a fantasy piece, but it's worth a shot. Maybe...I don't think he has the depth required to make Boromir a rounded character, but I'd give him a chance. Though he was in Gladiator as a warrior man, so that is slightly type-casty. Alzheimers. Otherwise I'm with you. I would like that a lot. He's who I heard in my head when I read the book (albeit a more "tree-ish" version of him). Mondo Bizarro Typecast. I fear we would all be thinking of Mufasa and Darth Vader while watching the film. I'm afraid they would look like Final Fantasy characters. It would just be too distracting, methinks. Love him though I do, Typecast. He's not the only amazing composer out there. It's kind of like casting the Harry Potter kids as the Narnia kids. If they've already been in a major fantasy/epic picture it just seems uncreative to cast them in another one, imho I like underappreciated relatively unknowns. They aren't distracting because you aren't constantly thinking of the other time they played in a fantasy/epic. 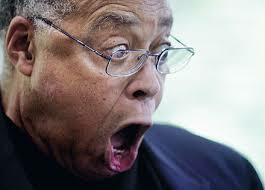 James Earl Jones in particular would just be too much. He's not the only person with an awesome voice, why not give someone who has never done this kind of film a chance? With you on the hobbit casting. Do you have "talented actors" in mind to play pre-CG elves? You complain about Arwen so often that I would like to know who you invision in the role. Will the members of the US Supreme Court deign to play the Nazgûl, though? I had Anthony Daniels-- of all people-- in mind to play Legolas, since he's good at playing characters where he's not seen. The main characteristic of CGI'ed actors is that they be thinner than the actual ones; however the notion that they'll look like "Final Fantasy" characters is completely mistaken. Maybe more like the Gungans in "Star Wars," but that would contribute to their "other-worldly" nature; however they'd be almost indistinguishable from life-like if Pixar did it. As for George Lucas, however, he kept Star Wars faithful to the story over more than 25 years. As for Scorcese, you didn't see "Apocolypse Now"? I don't see the problem with "typecasting--" don't forget that Liam Neeson was also in "Kingdoms of Heaven" playing a knight as well. The purpose of actors is to 1) draw an audience, and 2) play the role well; it doesn't matter if they're "typecast." As for Russel Crowe, he's not my first choice for Boromir, who would be Dolph Lundgren-- not only for his looks, and his shallow acting could carry over well as Boromir's shallowness in comparison to Aragorn; but Crowe is a better actor, and also more of an audience-draw. I don't want to make Jackson's mistake of making Boromir look better than Tolkien intended-- which was "more proud and self-regarding, and less wise" than Faramir. PJ did the opposite-- which was opposite Tolkien's intent. The Nazgûl should be visible at certain times, like on Weathertop, and during the Flight to the Ford; so it would be necessary for at least the Witch-king to be played by real actors at least during those scenes-- as well as the EE scenes, where they're shown talking to each other, and to the Barrow-wights and other people etc. When writing the script, try to stay as close to the book as much as you can. BRING BOMBADIL! Kill me for saying this, but I absolutely loved the music from the PJ LOTR trilogy. While Howard Shore might be long gone by the time another remake is made, perhaps someone talented in music (who also has to be a composer) could reuse thematic themse from Shore's LOTR music and use it for the remake? The last one, surprisingly, is the most important to me. ...oh, and I think Sean Connery would make a better Saruman. But that's just me. I don't think a re-make needs to be "far-off," since, again, a classic re-make would be so different from PJ's version that it would be a different story entirely; and the entire drawn-out story released on DVD would be even more different (i.e. showing the entire story, including "Lost Tales" to make a 20+ hour series). I had John Williams on the "maybe" list, since I found a lot of his original music rather cheesy (the "Indiana Jones" theme in particular); but as a musical DIRECTOR he's definitely the best (i.e. the right note at the right moment) etc. If you put him on "classical" mode then he's good. As for PJ's music, however, I think it was fairly uninspired and repetitive-- and Enya was at her absolute WORST, compared to previous work. I think that, like most things, PJ skimped on the music in order to invest in SFX, rather than plopping most of the budget into the first film like he should have, and depending on box-office royalties from the first film to fund 2/3 of the second one etc. Making all three films on the initial budget, was a blunder that only PJ could make; the way I see it, if your first film does so poorly that it can't fund the second film, then there's no point in MAKING a second film. As for Bombadil, he might need to be cut down a bit-- like to the EE version even. However the EE would definitely show him near-verbatim. I'd divide the story into five parts: the Long-expected party to "Many Meetings." After that, the story could be divided into four more parts, with Film IV ending with "Shelob's Lair." Film V would then show Book V in its entirety, showing the party being overwhelmed at the Black Gate-- and that scene ending with Pippin's thought of "Good-bye!" Here the audience thinks that Frodo is captured, and that the party is destroyed. Then the scene fades out, and fades in again with an introduction of "14 days earlier," and showing Sam waking up at the under-gate of Cirith Ungol, and showing his events up to Mount Doom-- then of course the denoument. The Scouring of the Shire could be compressed for the movie, showing simply a montage-scene, and then the death of Saruman; after that it would be simply showing Sam, Rosie and Elanor waiting on Frodo etc. before he leaves the Shire. The EE could fill in a lot of parts, as well-- the movie would need to show the parts that Tolkien insisted upon, as well as other essentials. The king and all his company sat silent on their horses, marvelling, perceiving that the power of Saruman was overthrown; but how they could not guess. And now they turned their eyes towards the archway and the ruined gates. There they saw close beside them a great rubble-heap; and suddenly they were aware of two small figures lying on it at their ease, grey-clad, hardly to be seen among the stones. There were bottles and bowls and platters laid beside them, as if they had just eaten well, and now rested from their labour. One seemed asleep; the other, with crossed legs and arms behind his head, leaned back against a broken rock and sent from his mouth long wisps and little rings of thin blue smoke. Here it looks like Merry and Pippin, whom they were so worried about, had destroyed Isengard themselves. This would be essential to be done in flashback, since it would destroy this entire effect if you did it in "real-time." Ideally the scene would first show the Ents marching and singing, and then show the battle of Helm's Deep-- leaving the audience to wonder what would happen to the Ents at Isengard; maybe even showing Treebeard getting stuck full of poisoned arrows, and end it there, leaving the impression that he died like Boromir did. It's the same with the Black Gate; leave the impression that Frodo is captured, and that the party is overwhelmed at the Black Gate. In this film, he'd definitely say "name the terms" and believe he was defeated at the last. So you don't watch The Ten Commandments or Ben Hur? "Take your filthy paws off me, you damned, stinking, Istar!" I have, and although his acting is powerful, the problem is that he's still a gun-touting fanatic... and even though the second amendment should remain, I particularly don't believe in his politics. George Lucas as director? Um... no. Ever since the last movie of Indiana Jones, his directing skills have gone from Good to Abysmal; the prequel trilogy of Star Wars, albeit with a good storyline, was slaughtered terribly, and I'm afraid that if he does something that requires meticulousness and utter perfection like Lord of the Rings, then it would be an ultimate ruin, perhaps worse than the PJ film (I liked the PJ film, but each to their own opinion ). Like someone said, Darth Sauron? Someone who heard/saw Sauron in this remake would immediately recognise this person as Darth Vader, and that would be quite embarrasing in a movie in which the canon has no relation to Star Wars at all. What could be done, however, is to manipulate his voice to sound even more booming, somewhat choopy, and perhaps rough. Legolas may be around 1,000 years old, but his appearance is still young (in Mannish terms). He needs someone young, but not crappy. Orlando Bloom wasn't exactly the best choice for Legolas in the PJ trilogy, so next time if there is a choice, it has to be someone who is young yet with good talent. Or, if that's not possible ( ), we could get an older actor and then either physically (by means of make-up) or artificially (CGI) modify his form to make him appear younger. Something that I also absolutely loved about the PJ film besides the movies are the sets. The PJ trilogy did afterall include the two biggest names in Tolkein art: Alan Colmes and John Howe. They're art is so well known that I believe the sets in the PJ film would have absolutely portrayed the real LoTR environment well. Since they might be long gone by the production of this remake, perhaps you can have someone with grand talent try and do a copy of the sets precisely. Each film of the PJ trilogy had a very good opening; I loved the font of "The Lord of the Rings" right when it opens, and I also loved the text that displays when the movie for its respectful book is shown (a.k.a. "The Two Towers"). Perhaps we should employ the exact same? Finally, there's the issue of Tom Bombadil; is it possible that you can find a way that he can be portrayed well without simplifications? I'm going to stop there, because if I continue, I'll sound like some n00bish movie-phile; and having read the entire Silmarillion (and in the process of reading LoTR), I would certainly not like to be classified like an absolute movie-phile, even though I do enjoy the PJ movies. Charlton Heston has Alzheimers. I don't know if you know anyone with Alzheimers, and I don't know how far along Heston's is, but I think we're past the point of no return at this time. 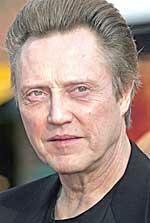 Christopher Walken....I dunno....He's also in type-cast land, imho. Here the audience thinks that Frodo is captured, and that the party is destroyed. Since they might be long gone by the production of this remake, perhaps you can have someone with grand talent try and do a copy of the sets precisely. To suceed, these films would have to be very different from Peter Jackson's film. Otherwise people will look at the previews and think "Well, I've got Jackson's piece at home. Why should I shell out more money to see more of the same?". Well the reason why I said that is because they were designed by the two biggest names in Tolkein art... by the time the remakes are made, if there are any classical Tolkein fans left who are familiar with Howe and Lee, they would praise the movie for its realism to Tolkein art; I knew a Tolkein fan who said that the PJ trilogy movies' set design was absolutely wonderful, and that they thought that they were in Middle-Earth (or atleast in Tolkein's mind). Should we sacrifice artwork just to get more viewers whoare unaware (and perhaps ignorant) of the PJ trilogy? Don't get me wrong, I adore Peter's sets. My vision of heaven is now Rivindell. But, like I said, the films have to be visually different for the remake to work. Otherwise it will look (to those who don't know better) like more of the same. The best Middle-earth has already been filmed. But I'm sure they could come up with a fantastic second best. Without making this into a political debate, you might want to know that the Supreme Court has ruled, since 1886, that the Second Amendment only protects the right of the federal government to draft armed citizens, and prevents states from disarming them from this purpose. I can cite the case for you if you like. George Lucas as director? Um... no. Um, I didn't SAY "director," I said EXECUTIVE PRODUCER. In other words, he basically just adds his name to the credits, and supplies a boatload of cash (including drawing in OTHER investors-- get it?) No need to cast someone's daughter as "Mary-Sue Arwen" etc. or other sell-out pandering in order to get $$$. Like someone said, Darth Sauron? I didn't say he'd be speaking into a bass-amplifier-- he'd be playing the part in person. More like Thalsa Doom from "Conan the Barbarian." That's where I got the inspiration for him. However none of these casting-decisions are set in stone, of course; I'd far rather go with British actors to the core. This simply considers show-BUSINESS concerns as well as artistic ones. Sure: just portray him, but leave him unexplained-- except in the EE. For example, why does Obi-wan Kenobi go to a fast-food chef (i.e. "Dex") for information, instead of simply going to the Republic's database? This is explained in the EE: he didn't find any information there, so there was no point in showing the scene. I realize here that you're hinting at Jackson's "dumbing down" and "spoonfeeding" of every minute detail that isn't exluded entirely; to which I recite the film-maker's credo of "less history-- more mystery." After all, tt's better to leave something unexplained, than to give it short-shrift, right? Leave that stuff for the EE-- or even the prequels. and having read the entire Silmarillion (and in the process of reading LoTR), I would certainly not like to be classified like an absolute movie-phile, even though I do enjoy the PJ movies. Then you CLEARLY haven't read LotR. To suceed, these films would have to be very different from Peter Jackson's film. He's alreadly admitted himself that he wasn't at all faithful to the books, so if you were 100% faithful then it would be completely alien to PJ, who filmed it as a cheap horror-flick with a big budget (but suprisingly crude miniatures), so it got a lot of ratings it didn't deserve. Any classic re-make would be an improvement, if you had the best cast and production-team. But I'm talking about doing it in a way that captured Tolkien's intent-- which as far as PJ is concerned, puts him somewhere between "Waterworld" and "Ishtar" in terms of big-budget blunders. Selling big is one thing, selling out is another. If you ever cared to take a peek at the Lit forum here at MT, you'd see that we have probably some of the most revealing discussions about Tolkien's intent-- and there's little disagreement with PJ: he wasn't at all faithful to the books. As for the audience being "tipped off" by PJ's movie: there's something you have to understand about film-- seeing is believing. Otherwise why would anyone watch "Seabiscuit" twice, (or even once) if you knew the horse was going to win? Or any war-movie, for that matter, when they already knowwho won? It's all in the development as well as the presentation-- not the textbook conclusion. If they see Gandalf--who they come to know and respect as a WISE Gandalf-- indeed, a "lord of great power and dignity," not a Punch&Judy/Toucan Sam version-- say "name the terms," looking utterly defeated at the last, they're going to know it's a different movie-- particularly compared to running screaming like a maniac to his death ("for Frodo!"). Also they won't have seen Frodo (or Sam) the entire movie (Film V), so who's to say it's not different? They see Pippin getting crushed by a troll, and the last thing he says is "but sad or merry, it has come to an end. Good-bye." And the screen fades to black. That's enough right there, to show you don't know much about Tolkien; New Zealand is not Middle-Earth! The story takes place from modern England to Bulgaria, so it can't be the "best" ME (unless you get your cues from PJ). I'm a little surprised at your choices Wiki. Treebeard with a Scottish accent/dialect? I can't remember him speaking with any other dialect... think Hunt For Red October. Sauron... if you are considering a Sauron that can be seen, while I can accept a black Sauron, I have a little trouble with a fat one. If you are going for the voice only, then he is a poor choice. His voice is too recognizable. Too easy for a "Frodo... I am your father." or "This... is... Mordor". Anthony Hopkins doesn't have the height or understated nobility that Gandalf needs IMO. Russel Crowe. Hmmm... maybe 8-10 years ago. Christopher Walken... falls into the same problem as Connery and Earl Jones. His voice is too recognizable and unable too change. 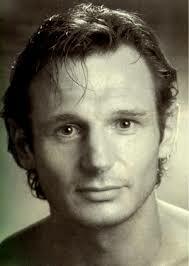 I agree with Liam Neeson. Which is why they're good choices. Why do you think people pay good money to see the same actors over and over? That's the first objective-- it's called show business; and I never argue with success... even PJ's. I just think it can be done better. Ever seen him playing the Green Knight, in "Sir Gawain and the Green Knight?" You'll never see anything closer to Treebeard, other than him playing Treebeard himself. And what type of accent do you think Treebeard would have? The Scots' brogue is about as close to his slow, ponderous voice as one could imagine. Sauron is black! It was the only form he could assume after the destruction of his "fair-seeming form" at the Akâllabeth-- his skin is "black and burning hot," which was how he killed Elendil and Gil-galad, and how the Ring was so hot that it permanently scorched Isildur's hand even when he took it from Sauron's fallen body. No, I'm going for the whole character. Frodo looked at them in wonder, for he had never before seen Elrond, of whom so many tales spoke; and as they sat upon his right hand and his left, Glorfindel, and even Gandalf, whom he thought he knew so well, were revealed as lords of dignity and power. Gandalf was shorter in stature than the other two; but his long white hair, his sweeping silver beard, and his broad shoulders, made him look like some wise king of ancient legend. In his aged face under great snowy brows his dark eyes were set like coals that could leap suddenly into fire. Gandalf only "tall" in comparison to Dwarves and Hobbits; never once is he described as stooping at Bag End... let alone (ecch) banging his head. Maybe so-- these are just suggestions, not set in stone. Like I said, I prefer British actors to play the part of what are obviously the ancestors of Britons. Charlton Heston I don't understand. If we take him today, we'll then there is the Alzheimers. Which makes him perfect to play Denethor. Ever hear that truth is stranger than fiction? Some people said that Brando was too fat to play Col. Kurtz in "Apocalypse Now", and they even tried to cover it up with black shirts etc; but this was a mistake, since his obesity only showed more accurately how stresses of war (i.e. "the Horror") had taken a serious toll on Col. Kurtz, to the point where he wanted for Sheen's character to kill him. The effect wouldn't have been the same if he had been slim and trim. I doubt one in a hundred people would recognize just his voice. And his facewould be visible at Weathertop and the Ford... not just a "blur" like in the movie-- and that's seen before he says anything (his only real lines wouldn't come until Film V, remember). But if he can't do a decent British Accent for just three lines, then I'd agree with you. Like I said, I'd prefer a British actor to play a forrunner to the Britons (which the Witch-king was, being a Númenorean nobleman by birth). As for the Éorlingas, I left these blank because I'd want them to be played by real Germanic actors, from the Teutonic regions; again, truth is stranger than fiction; we don't need Uma Thurman doing a re-make of "Kill Bill." For the record, I wouldn't want these parts cast by people who could very well be last-minute replacements, for all intents and purposes. Seriously, PJ is the guy who thought that Middle-Earth was New Zealand-- in other words he doesn't know the Northern Hemisphere from the Southern.... which means he doesn't know he head from his arse! Which makes him perfect to play Denethor. You obviously have no experience of someone in the advanced stages of Alzheimers. How are you going to make him speak in complete sentences, let alone remember his lines? How are you going to stop him wandering off, or becoming distressed by the cameras pointed at him? I realise I'm guilty of stating the obvious here, but you are off your head, WiKi. No you're guilty of rank insolence, not to mention foot-in-mouth disease. If you care to read my original post in its entirety (which I know you haven't), I billed him as "SUBJECT TO AVAILABILITY." Also you don't know much about Alzheimer's, since the most familiar and practiced things are remembered best-- and Heston's been an actor most of his life; also things can be remembered with effort. And have you ever heard of an "understudy?" This is more of where truth is stranger than fiction. Denethor only has about four scenes in the entire story anyway: with Pippin, with Faramir, his breakdown during the seige, and his final death-scene; and they don't even begin until at least Film IV. Who says they couldn't be filmed ANYTIME during the rest-- have you ever heard of "parallel production?" Only control-freak producers need to be hands-on present for every scene. Even if she did, it wouldn't make a difference. Scorcese had nothing to do with "Apocalypse Now". That was Coppola. On a related note, John Milius ("Conan the Barbarian") would be suitable as a director. Or maybe a unit director for the action scenes. Crowe, Neeson: yeah, I could see that. I'd also like to see Ewan MacGregor as Faramir. Witchy: I was answering Magna Carta's post about re-using Peter's set designs. I'm not going to re-state my opinion of Peter Jackson's films again, you already know it. How many times do I read the lit forums every day, Witchy? You have no idea. So don't imply that I don't read them at all. I am a reader response critic, and authorial intent, while interesting, is not important to me when reading the book or watching any films that come from it. I ask myself if it was a good film, comparing it with other films. With Jackson's LotR film, the answer for me (and millions of other people, both high and low) is a definite yes. You don't agree because you just don't like them, but your opinion is just as valid as my opinion, which is just as valid as Tolkien's opinion (as far as reader response criticism goes). Thus, I don't get into authorial intent discussions up top. I read them because they are interesting, but I don't think there's a point to me adding to them. In any case, MT is a very friendly board for anti-PJs. It is not a fair cross-section. People who are pro-PJ either see the bile that rises from time to time and go somewhere else, or they continue to post here but keep their feelings to themselves because they don't want to get into another mud-slinging match. You don't have to tell me those things about film, I am a student of the medium You can make the audience willing to let themselves go while watching the film in a sense believe that Frodo is dead, but they won't really believe it, obviously different film or not. They will watch it again for the same reason they watch war movies more than once, but they are not going to be totally in the dark and the emotional impact is not going to be true. I guess I just don't know which sense of "believe" you meant. Peter's Lord of the Rings New Zealand looked exactly like the Middle-earth Tolkien conjured for me when I read his books. You can't force me to believe in the Middle-earth Tolkien conjured for you, even if I wasn't an RR critic. Peter is not an ignoramous, he realizes that New Zealand is not England New Zealand is an ideal place to film movies in general (or it was back then) due to the reasonable prices. I'm pretty sure England is more expensive, even now. It's business, you remember. They have to save money when they can. Plus, New Zealand has all of the natural settings required for filming Lord of the Rings in particular (volcanos, deserts, forests, fields, ect). It looks nothing like modern England, perhaps, maybe not even ancient England, but it's a dead ringer for Tolkien's Middle-earth as far as I'm concerned (and even lots of people who hated the films say "I hated the movie, but the setting was magnificent"). You didn't answer Singy's qualms about James Earl Jones' weight. Do you know anyone who has Alzheimers? If so, they must not have it as bad as my grandmother does. What if Heston's disease is as far enough along as my grandmother's? I saw her yesterday. She didn't say a single word (and she used to be very talkative, creating a variable in the "natural things are the last to go"), she mushed her hands in her food, then in other peoples'. Someone dropped some pans in the kitchen and she was terribly startled and frightened. She didn't recognize any of us. She was wearing a diaper. If Heston is as far along as she is, not only would filming him be impossible, it would be cruel. I was thinking of Ewan McGregor more as Sam-- but never Faramir; he's too short, and not that good-looking. Faramir was said to look very much like Boromir, who was an incredibly powerful man and able commander, indubitably handsome, and almost as tall as Aragorn. Sam, meanwhile, is humble, loyal and sensible as well as stout-hearted-- that described Ewan's screen presence to a T. I just didn't want to lift the entire cast of "Star Wars" over, but I guess it doesn't matter. You get quality where you find it. If anyone has alternate suggestions for these actors, the forum's open for discussion you know--- though I know it's easier to point a finger than lend a hand. Do you intend to show Sauron? I hated the giant eye (as a misinterpretation of a metaphor) but find Sauron more frightening behind the scenes. Please do the "giant shadow extending its hand" bit after the ring is destroyed - PJ missed a good opportunity there. I'm trying to picture a LOTR directed by Scorcese. Interesting images come up, but with a different meaning of hobbit "families" . Well, it was his own material after all; that doesn't mean he would be faithful to Tolkien's. He'd stand up to the studio, though. Question - how would you handle the Arwen thing? Unless you are paying a lot of attention at Rivendell she is easy to miss. This first time I read the books I somehow overlooked her and hence was quite surprised when she turned up in Gondor. If you are doing 5 films that would be several films down the road. I think he could show Arwen as little as he likes, since people will already know who she is and her significance due to Peter's films. The more I think about Ewan as Sam the more I like the idea.